Battery group size - the battery size that will best fit the physical dimensions of your vehicle. Many vehicles can accommodate more than one group size. Cold cranking amps (CCA) - CCA is critical for good cranking ability. It's the number of amps a battery can support for 30 seconds at a temperature of 0 degrees F until the battery voltage drops to unusable levels. Reserve capacity (RC) - helps to power your vehicle's electrical system if the alternator fails. It identifies how many minutes the battery can supply ample power without falling below the minimum voltage needed to run your vehicle. In general, for both CCA and RC, the higher the number the better. HOWEVER, if you live in a cold climate, the CCA rating should be an important consideration in choosing a battery. Conversely, if you live in a high-heat climate, you don't need as much CCA. Multiply the amps by the hours to determine the amp hours, or AH, required. 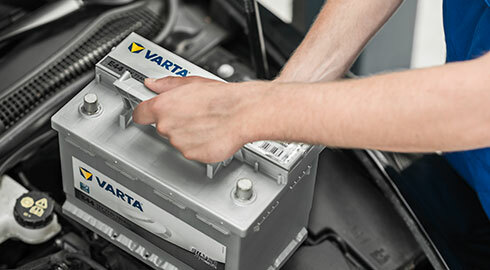 *Look for a battery that will deliver the required amount of AH for the specified time and voltage. For a safety cushion, increase the number of AH by 20%.